Although I no longer watch anime shows (TV series, films, OVAs/OAVs) as assiduously as I used to, I still manage to check out the lineup of new shows each season, and then decide which ones to watch during my free time. Most of the time I don’t even bother to read the synopsis or take note of the cast (voice actors or “seiyuus”), because I prefer to trust my gut in these matters. I have no particular yardstick as to which shows to pick up and follow until the end, but usually it takes me no more than 2 or 3 episodes to decide whether to dump or stick with a series. As a rule, I tend to go for comedy, slice-of-life, adventure, and fantasy shows, although very often, a series would be a combination of genres. It’s not particularly efficient, but this system works for me. Every once in a while though, I come across anime shows that I instantly feel good about — some of them can be so compelling that I just cannot imagine myself NOT watching them. I haven’t made a definitive list of these shows, but I can remember each one of them vividly because I tend to rewatch (several times!) them later. Over the years, this fluid list kept expanding and realigning as more noteworthy shows appeared and I became more “discerning” (so to speak). These shows — in no particular order — include Barakamon, Gekkan Shoujo Nozaki-kun, Boku Dake Ga Inai Machi (or Erased! ), Working! (Season 1), Flying Witch, and lately, Made in Abyss (which is about to end soon). This doesn’t include other shows that I also happen to like, but which — despite their sterling qualities — will never make my list of favorites because they lack consistency, coherence, or staying power, and because they failed to leave a sense of urgency that would compel me to stay around and watch them repeatedly long after they first aired. I loved the shows I have listed above for various reasons. 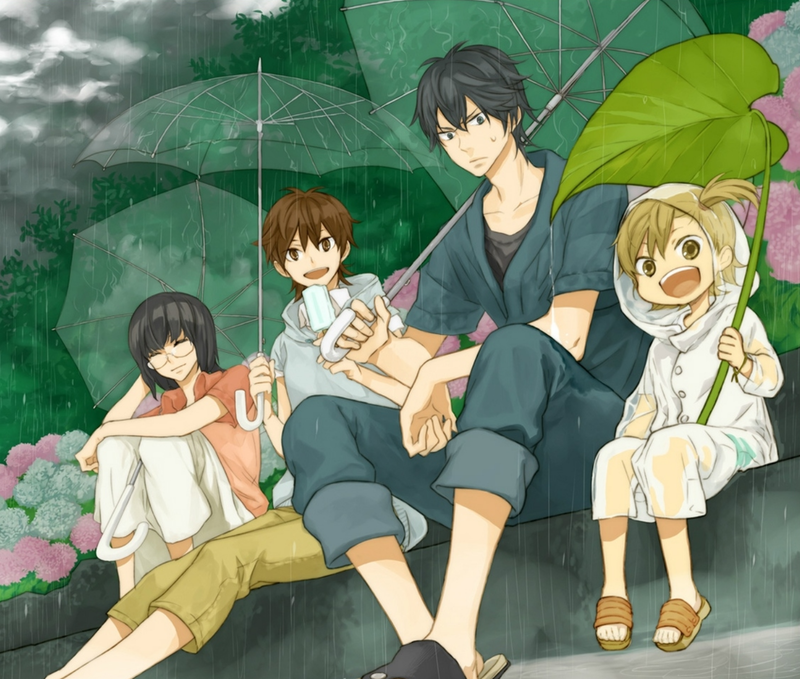 For example, I was utterly entranced by Barakamon because of its memorable characters (Handa-kun, Naru, the village people), simple story, lush art, and quaint humor. And if there is a second season, there is no doubt I would watch it, too. This also goes for Flying Witch. 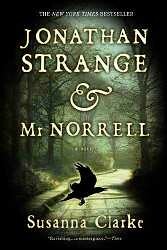 It’s not much of a standout compared to some of my favorites, but its lush scenery, laid-back pastoral charm, and gentle humor have a way of tugging at your heart and stay there for some time. 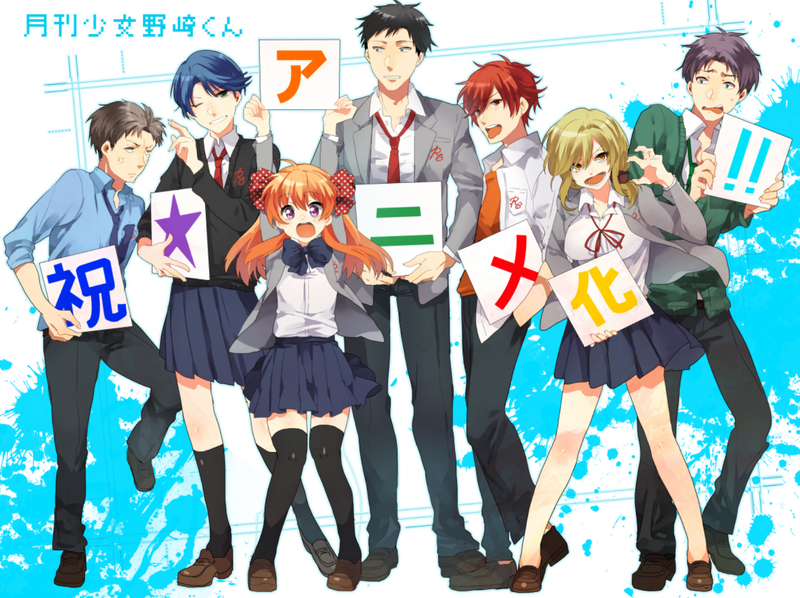 Gekkan Shoujo Nozaki-kun was just a sheer delight. It’s one of a handful of shows that literally left me gasping for breath as I struggled to contain my laughter (with tears streaming down my face, to boot!). I loved its endearingly zany characters, even the minor ones, and the catchy soundtrack. One reason why Barakamon and Gekkan Shoujo Nozaki-kun fared so well among viewers was their well-cast seiyuus, who effortlessly turned in pitch-perfect performances with top-notch comedic timing. 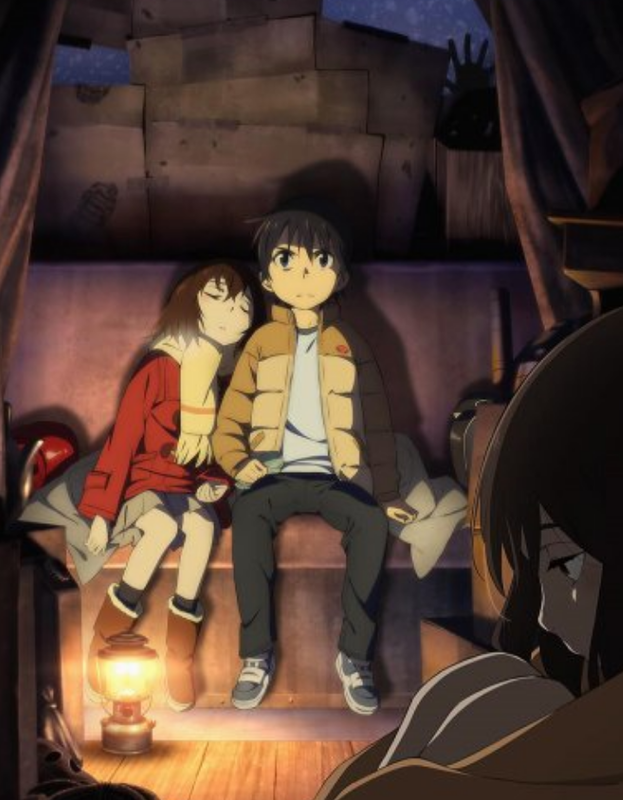 I usually stay away from psychological trillers, especially when they are burdened by a suffocating tragic event, but Boku Dake Ga Inai Machi is one of those rare shows that creep up on you, then grab your heart and never let go. Its opening episode is probably one of the best I have ever seen in this field. Before you know it, you’re well and truly hooked, and you know you will never have peace of mind until you find out who the real culprit is, and if the protagonists and his friends will survive until the end. Boku Dake Ga Inai Machi is more popularly known as Erased! among Western viewers (presumably because it’s easier for them to remember and pronounce?). There have been 3 seasons of Working! to date, but really the best season was the first one because it had novelty on its side. It has a quirky plot, an outstanding soundtrack, and a bunch of wild and wacky characters, who seem to thrive in bringing out absurd levels of hilarity even in the most mundane of situations. At its core, Working! 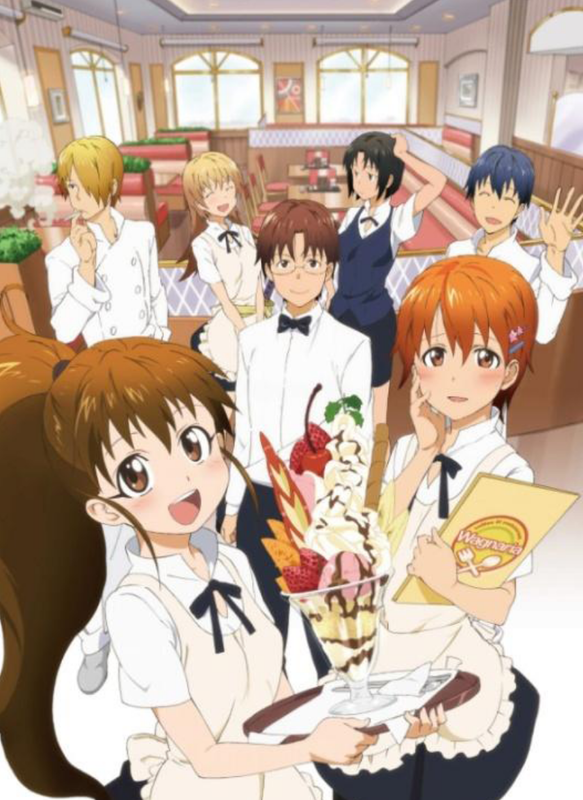 is a silly and heartwarming restaurant-themed show that will leave you chuckling. I’m reassessing this list because there is one show — Made in Abyss — that will most likely push its way up (high!) in my list. Its last episode airs tomorrow (Ep. 13; Sept. 29) as a 1-hour special. I am already bracing myself for its emotional and visual impact, because — yes, it’s that good. Everything about it is so well done that it’s hard to nitpick over the details — awesome cast, beautiful animation (the breathtaking vistas, the intricate details, and the sheer breadth and width of the abyss will leave you gaping in awe), perfectly calibrated soundtrack, rich source material (manga), and a plot that is simultaneously simple and complex. Its well-nuanced visceral punch will put your unprepared heart through the wringer before leaving it in a quivering heap after it’s done with you. One only needs to check out the countless video clips that show up in Youtube (live reactions, reviews, comments, discussions) as soon as an episode is aired to know that Made in Abyss is now basically a phenomenon among anime fans. If you don’t have enough time to understand why, just go and watch Ep. 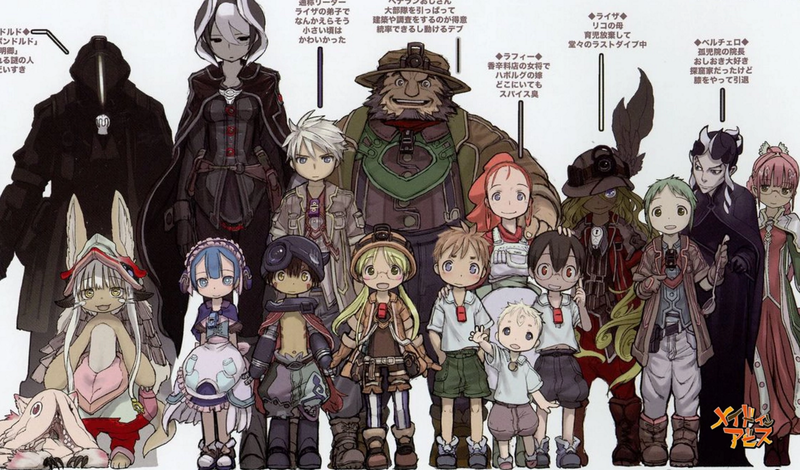 10 of Made in Abyss. If you can go through this episode without emitting an involuntary wince, whimper, scream, or a curse, then leave a comment below and let me know why. Early this evening, while I was having my documents printed at National Bookstore (NBS), I overheard a couple of yuppies talking, in their distinctive urbanspeak, about their favorite TV shows. My ears perked up when I heard one of them describe his latest TV obsession, How to Get Away with Murder, as a show that only “intelligent” viewers would appreciate. Superlatives aside, I figured the show must have something going for it to merit such praise, so I decided to check it out. Whoah! That was literally my first reaction after the ending credits have rolled. The stunning debut of How to Get Away with Murder, ABC’s latest legal drama series, leaves you hanging on the edge of your seat as you careen from one emotion to another. Unlike most legal/crime drama series that leaves you a clear picture of who the bad/good guys are, this show doesn’t leave you with a comfortable feeling for long because you will soon realize that there’s always more than meets the eye, and each character has multiple layers that will keep you perpetually off-balance. Just about the only character you can easily relate with (at this stage, at least) is Wes Gibbins, an earnest law student who is grappling with multiple dilemmas as the show progresses. The plot of How to Get Away with Murder (produced by Shonda Rhimes) focuses on Annalise Keating, a brilliant Philadelphia lawyer/law professor (played by Viola Davis) who recruits several of her students to work for her law firm. 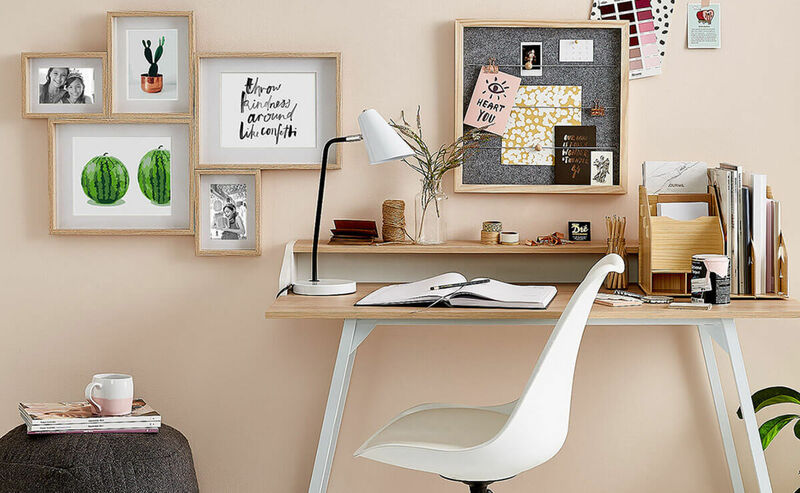 In the initial stage of the selection process, she prods her students to prove themselves by presenting an effective defense for a difficult murder case she was currently handling. A major factor of what makes this first episode (“Pilot”) particularly compelling is Viola Davis, who is nothing less than commanding as a tough-as-nails married lawyer who has an affair with a police detective. She projects various emotions effortlessly, and when she is onscreen it is very difficult to focus on anything else. Alfred Enoch (Wes Gibbens), Aja Naomi King (Michaela Pratt), Jack Falahee (Connor Walsh), and Karla Souza (Laurel Castillo) play her students. The rest of the cast include Billy Brown (as Det. Nate Lahey), Katie Findlay, Charlie Weber, and Liza Weill. 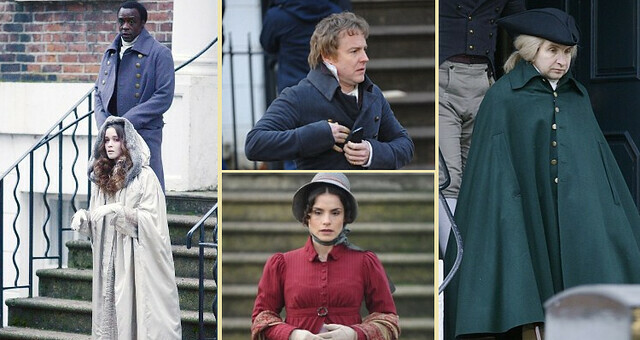 The other actors are no mean slouches either, which makes this series a joy to watch. The pacing is tight, and the frequent use of cross-cutting between scenes only heightens the doubts and tension simmering below the surface. Hopefully, How to Get Away with Murder can manage to maintain the quality with which this episode was handled, because even this early it looks like ABC has stumbled on another winning formula — and the critics love it. This hour-long pilot episode was directed by Michael Offer (each episode has a different director) and written by the show’s creator, Peter Norwalk.